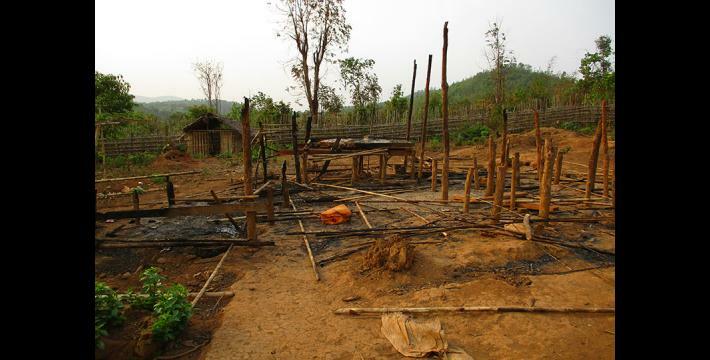 2,295 villagers from Hkay Poo, Saw Mu Plaw and Ler Muh Plaw village tracts in Lu Thaw Township, Hpapun District were displaced due to Tatmadaw troop movement and fighting that broke out between the Tatmadaw and KNLA in March 2018. Tensions escalated because the Tatmadaw wanted to upgrade a road, and deployed a large number of soldiers in a KNU delimited area without getting the KNLA’s consent. On February 23rd 2018, Tatmadaw Light Infantry Battalion (LIB) #607 under the command of Military Operations Command (MOC) led by Major Paing Soe Thein opened fire at KNLA Company #1 under KNLA battalion #5 led by Major Saw Lay Ywa Moo at 4:00 PM in Kan Ni Chaung area, Thandaunggyi Township, Toungoo District. 800 Tatmadaw soldiers from Toungoo, Nyaunglebin and Hpapun districts cooperated to upgrade a dirt trail into a vehicle road from Ler Muh Plaw to Hkay Poo village tracts. This road helped connect Hsa Law Kyoh army camp and Htoh Muh Pleh Meh army camps to the area. The road will likely serve military purposes. Since the Nationwide Ceasefire Agreement (NCA) was signed in 2015, KHRG has received many reports from villagers concerned about a potential breakdown of the peace process and a return to violence. 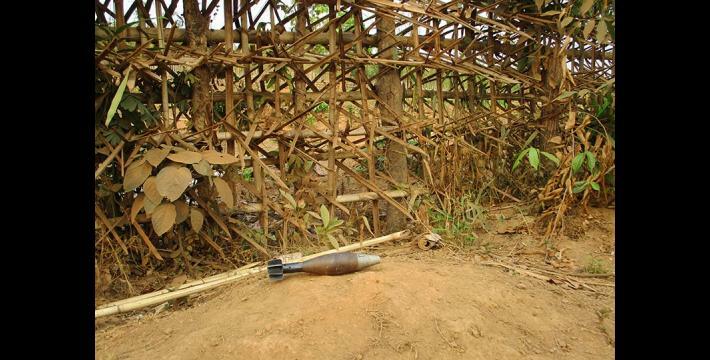 KHRG has received reports from all Karen districts stating that villagers perceive that the Tatmadaw commits ceasefire violations and increased their military activities. Examples of ceasefire violations include trespassing into KNU delimited areas, reinforcing their troop size and supplying of ammunition and weaponry. Tatmadaw also increased their movement by patrolling in civilian areas, strengthening army camps, and transporting rations. 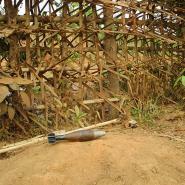 Because of this, villagers assume that the Tatmadaw are preparing for long-term conflict in southeastern Myanmar. This news bulletin outlines how several skirmishes broke out between Tatmadaw and KNLA in early 2018 in Toungoo and Hpapun districts. In Lu Thaw Township, Hpapun District, fighting and military movement displaced 2,295 villagers from Hkay Poo, Ler Muh Plaw and Saw Muh Plaw village tracts, starting from March 3rd 2018. During this period, there were also two instances of villagers shot on sight in Lu Thaw Township: the first instance did not cause any deaths since the villagers fled, while the second, on April 5, resulted in one casualty. Tatmadaw Light Infantry Battalion (LIB) #585 under Military Operation Command (MOC) #13 from Toungoo District started military activities in Lu Thaw Township from January 28th 2018 by orchestrating the large-scale transportation of rations using 25 trucks carrying supplies, petrol and a bulldozer. The rations, bulldozer and petrol were preparations for road construction. According to information provided by a KHRG community member from Lu Thaw Township on February 15th 2018, the LIB #585 under MOC #13 deliberately shot two villagers on February 12th 2018 at 4 PM. Tatmadaw soldiers encountered and opened fire on Saw C---, 40 years old, who lives in Jj--- village and his friend (unidentified) while they were crossing a Tatmadaw vehicle road on their way to buy food in Nyaunlebin District. The incident occurred at Sgoh Hkoh area, near B--- village. Luckily, both villagers immediately ran away and were able to avoid the bullets and save their lives. 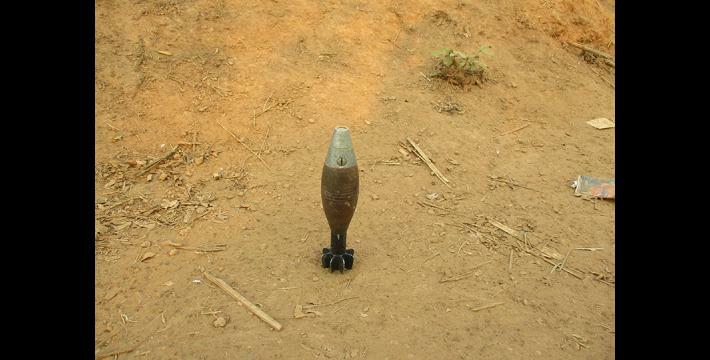 However, this incident destroyed the villagers’ sense of safety since it threatened their lives and put them at risk. On April 5th 2018, Saw O Moo was shot dead by Tatmadaw Light Infantry Battalion (LIB) #351 at 5:10 PM, while he was driving back home with KNDO Deputy Commander Bo Hser at Htee Hsee Hta area. According to an updated interview conducted by a KHRG researcher with Saw O Moo’s wife, he went to a work-related meeting, and was continuing his journey to a wedding when he was shot dead. The Tatmadaw from Toungoo, Nyaunglebin and Hpapun districts collaborated to upgrade a dirt trail into a vehicle road from D--- village, Ler Muh Plaw village tract to Hsa Law Kyoh place, Hkay Poo village tract. This road will connect Hsa Law Kyoh army camp to Htoh Muh Pleh Meh army camp. The Tatmadaw from Toungoo and Nyaunglebin district took responsibility to upgrade the road and the Tatmadaw in Hpapun District maintained security during road construction. 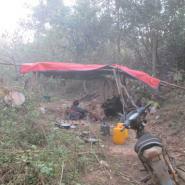 Since the area was under the operation of the KNLA, the Tatmadaw was not permitted to upgrade this dirt trail into a vehicle road intended for military transportation. However, the Tatmadaw did not respect this provision. Instead, the Tatmadaw reinforced its position with more troops from Toungoo and Nyaunglebin districts and trespassed into KNU delimited areas in Lu Thaw Township. In total, 800 Tatmadaw soldiers from three districts collaborated for the construction of this road. Since massive numbers of Tatmadaw trespassed into KNU delimited areas for this road construction project, tensions between KNLA and Tatmadaw have been increasing since March 2018. This led to ongoing clashes between them since March 2018. According to a KHRG community member, several clashes broke out between Tatmadaw soldiers and a local home guard allied with the Karen National Liberation Army (KNLA) in Lu Thaw Township, Hpapun District. The fighting broke out because large numbers of Tatmadaw troops trespassed into KNU delimited areas to upgrade an existing road from Hsa Law Kyoh army camp to Htoh Muh Pleh Meh army camp into a vehicle road deeper in Brigade #5’s KNLA operation areas. Since then, fighting broke out four times on March 5th, twice on March 6th and again on March 7th 2018 between Ler Muh Plaw and Hkay Poo village tracts, Lu Thaw Township. Affected villagers reported to a KHRG researcher that the road only benefits the Tatmadaw since they use it for military purposes. This road construction did not bring any benefit for villagers because the road passed through villagers’ plain farms, hill farms, and a community forest within Saw Muh Plaw, Ler Muh Plaw and Kay Poo village tracts. Villagers also reflected that if the road construction was intended to benefit local villagers, why would the Tatmadaw shoot two villagers while they were using the existing road to buy food? 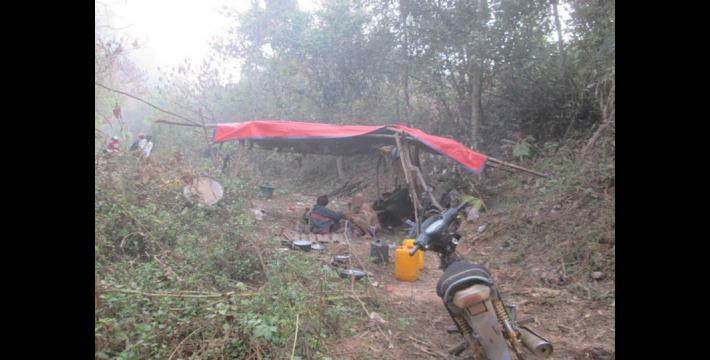 On April 4th 2018, fighting broke out again at Way Day place between KNLA and one of four Tatmadaw battalions operating in Hkay Poo village tract. 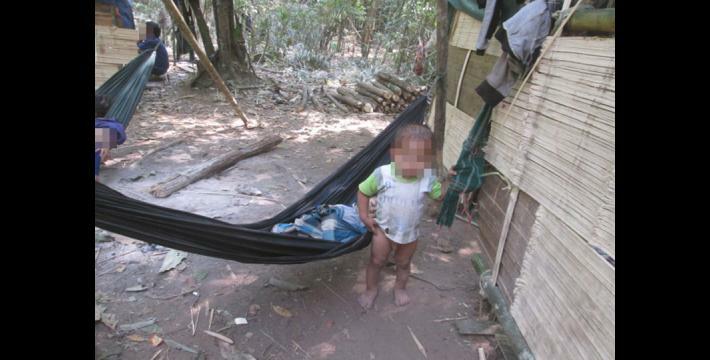 A KHRG researcher from Dweh Loh Township also reported that since early 2018, Tatmadaw Light Infantry Battalion (LIB) #203 have increased their presence in Meh Pree, Lay Poe Hta and Htee Th’Daw Hta village tracts by patrolling in civilian areas and frequently trespassing into KNU delimited areas. Their frequent trespassing into delimited areas has caused clashes to break out between Tatmadaw LIB #203 under the command of Light Infantry Division (LID) #22 and KNLA Company #3 under the control of a KNLA Battalion #102 on March 15th 2018. The fighting took place between Wah Thoh Hkoh and Meh Kyee Hkee, Lay Poh Hta village tract, Dweh Loh Township, Hpapun District. During the clash, two Tatmadaw soldiers died and another two were injured, as reported by E--- villagers to a KHRG researcher. 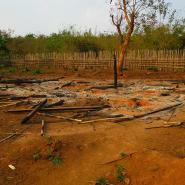 The Tatmadaw also set fire to a KNLA checkpoint at Wah Tho Hkoh. The fighting broke out as LIB #203 along with over 50 soldiers were heading to Ii--- village without the consent of KNLA Company #3. In addition, the LIB #203 ordered the local village head to meet with KNLA Company #3 on their behalf. 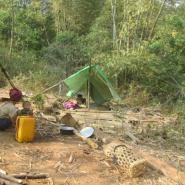 The village head had to inform the KNLA that the Tatmadaw wanted to meet with them to get consent to go to E--- village. Even though Tatmadaw did not receive permission from the KNLA, they just went to E--- village anyways. 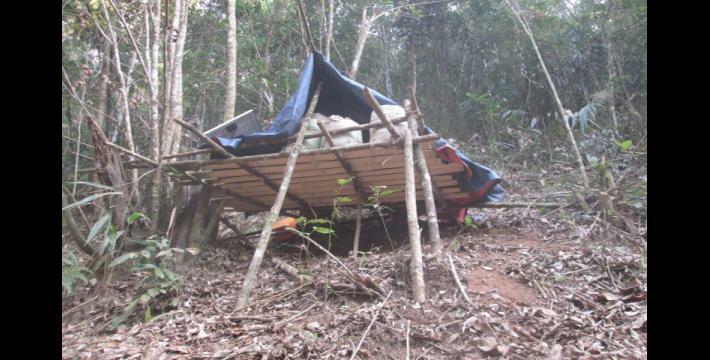 When Tatmadaw was on their way to E--- village, and had almost reached the KNLA checkpoint, the KNLA opened fire at them because they were trespassing into KNLA delimited areas. Additionally, the Tatmadaw in Toungoo District have also increased their military activities starting from early 2018. On January 1st 2018, the Tatmadaw started upgrading a military road, constructed in 2016 between Leik Tho and Thandaunggyi Towns. During the process of upgrading the road, Tatmadaw reinforced more soldiers from IB #26 under the command of the Southern military headquarter and LIB #607 under the command of MOC #6 to maintain security during the road construction. According to a KHRG researcher from Thandaunggyi Township, the Tatmadaw did not provide a notification to the KNLA before upgrading the road for military purposes. During the period of road construction, the Tatmadaw claimed that they brought in more soldiers to maintain security. However, villagers reported that Tatmadaw reinforced their soldiers to patrol in civilian areas and KNLA operation areas. On February 23rd 2018, the Tatmadaw LIB #607 led by Major Paing Soe Thein, learnt that KNLA Company #1 under KNLA battalion #5 led by Major Saw Lay Ywa Moo and KNU forestry officers would move to a wooded area used by Myanmar businessman Win Aung for logging. 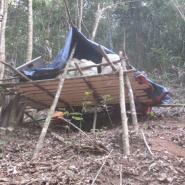 Win Aung had exploited these woods from the time when he was contracted by the Burma/Myanmar government in 2006. 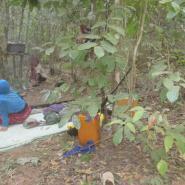 The KNLA and KNU forestry officers went to this area to prohibit Win Aung from logging. This action was also in support of forest conservation purposes against logging and environmental destruction. However, after LIB #607 got to know this as the Tatmadaw marched to Kan Ni Chaung area situated between F--- and G--- villages, Thandaunggyi Township, LIB #607 opened fire on the KNLA at 4:00 PM. KHRG frequently receives reports detailing Tatmadaw violations of the NCA code of conduct, including trespassing in KNU delimited areas and conducting troop reinforcements in ceasefire areas. 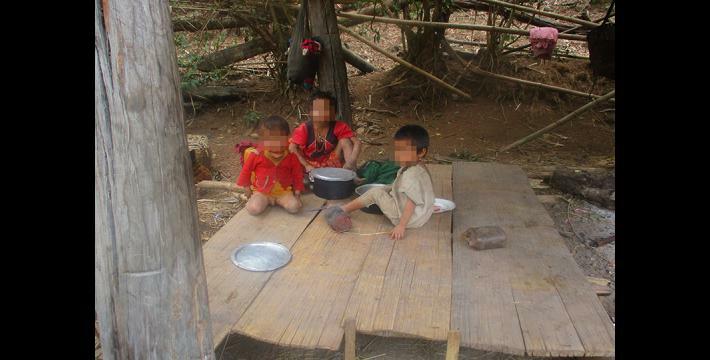 These types of violations most recently resulted in the displacement of 2,295 villagers in Lu Thaw Township. This section will describe how Tatmadaw violence violated this provision of the NCA code of conduct. 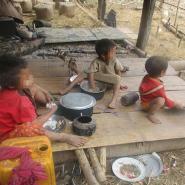 Many IDPs who have been displaced from 1975 onwards in Lu Thaw Township could not return to their original villages. They feared the Tatmadaw forces that operated in their areas, and believed that the conditions were not safe enough for them to return. Villagers held protests and worship services urging the Tatmadaw to withdraw from their existing army camps which are located close to their original villages. However, the Tatmadaw forces did not choose to withdraw their army camps. Instead, they chose to reinforce the troop presence. Most IDPs in Lu Thaw Township have wanted to return their original villages since the 2012 preliminary ceasefire agreement. However, instead of being able to return to their original villages, many of the 2,295 villagers displaced in March 2018 were displaced for a second time in less than fifty years. Many villagers in Lu Thaw Township who lived close to road construction sites fled their homes in anticipation of Tatmadaw advances. One of the reasons for their displacement is the high level of fear villagers have of the Tatmadaw in the Northern part of Lu Thaw Township. In the past few decades, villagers have fled in anticipation of Tatmadaw advances, because of the many negative experiences they have had with Tatmadaw forces. Today, many villagers flee as soon as they hear that Tatmadaw forces are coming or deployed in their area. 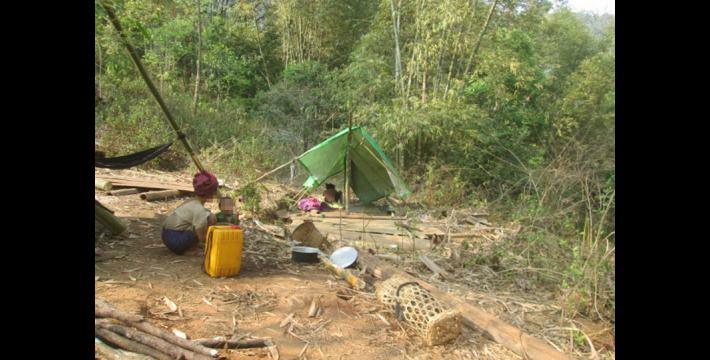 Displacement is also caused by the repeated outbreaks of fighting that occurred between the KNLA, Home Guard and Tatmadaw in March 2018. These instances of fighting led to the displacement of villagers from Ler Muh Plaw, Saw Muh Plaw and Hkay Poo village tracts, in Lu Thaw Township. Overall, 2,295 people were displaced in Lu Thaw Township, from the following villages: I---, J---, K---, L---, M--- villages located in Hkay Poo villager tract and N---, O---, P--- villages located in Saw Muh Plaw village tract and Q---, D--- and Bb village located in Ler Muh Plaw village tract in Lu Thaw Township, Hpapun District. Out of the 2,295 displaced people, 1,133 are women and 1,162 are men. In total, 1,174 villagers are from Hkay Poo, 368 from Saw Muh Plaw and 753 from Ler Muh Plaw villager tracts. This number represents people from eleven villages who were forcibly displaced by the fighting and Tatmadaw troop movements into civilian areas. 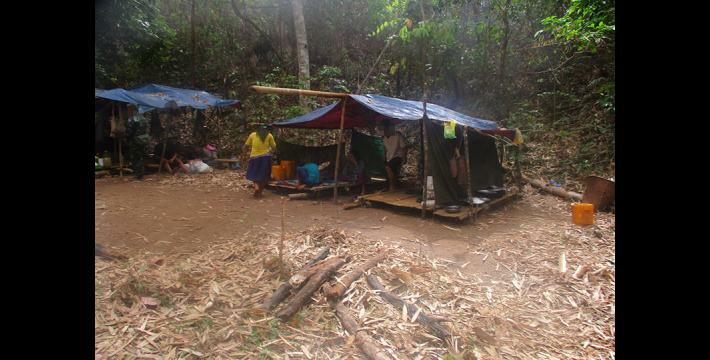 According to KHRG and other Karen community organisations, villagers including students started fleeing their homes from March 3rd 2018, and sought shelter in the valleys and forest until March 16th 2018. They only carried some clothes and rice. Some villagers also brought their buffalo with them. A KHRG researcher clarified that the displaced villagers in Ler Muh Plaw village tract fled to R---, S---, T---, U---, V--- and W--- areas and that villagers from Hkay Poo village tract fled to Hh---, X---, Y---, Z--- and Aa--- areas. Since the villagers were displaced in March 2018, all of the local schools were closed. All students from three village tracts fled along with their parents. Therefore, the students from Bb---, Cc---, Dd---, D--- in Leh Muh Plaw village tract were unable to finish their 2017-2018 academic year since they were not able to finish their final exams. Students and parents were also concerned that their children would not be able to continue studying in the coming years if they were not able to return. A KHRG researcher provided the latest information on April 5th 2018: displaced villagers are mainly faced with food shortages and uncomfortable shelters. 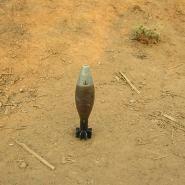 Some of them also suffer from illnesses such as coughing and malaria. 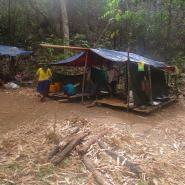 This was exacerbated because they could not sufficiently access healthcare and food services while they are displaced. 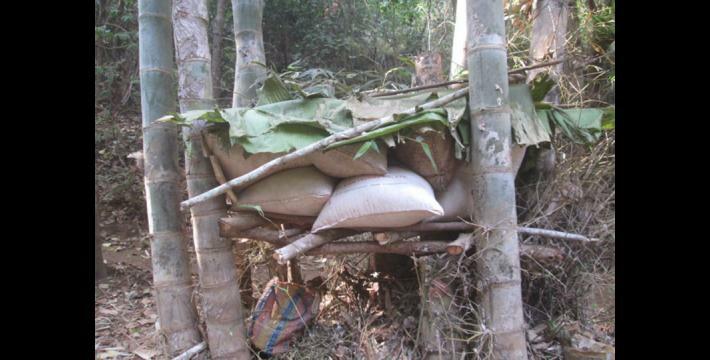 However, villagers have also used agency tactics to seek support from the KNLA and Home Guard, asking them to maintain security for them to get access to the rice they had stored in villages that was produced from hills and plain farms in 2017. Villagers secretly went back to their villages to bring rice that they stored with them to their IDP sites, and also went to get some of the rice they hid in the jungle. However, some of the IDPs could not manage to collect their rice, because their rice barns were close to Tatmadaw army camps which made them difficult to access. 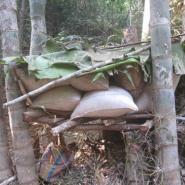 In this situation, villagers borrowed rice and other provisions from each other. Villagers were concerned about how to guarantee their survival in the coming months, after the food that they had stored will run out. The difficulty for them to ensure their livelihoods reinforced this concern. 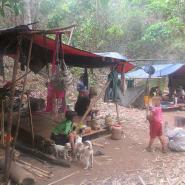 Additionally, displaced villagers left behind hill and plain farms and livestock they have raised. 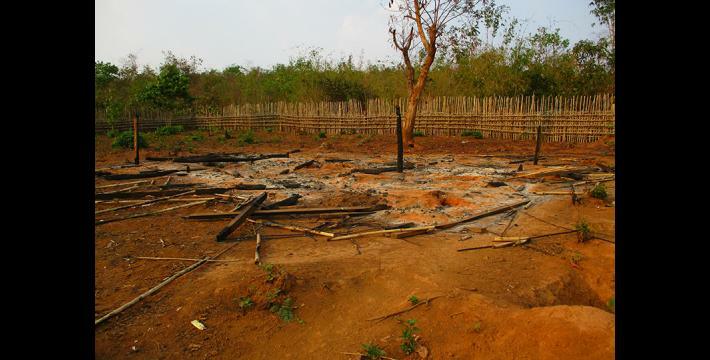 In these circumstances, villagers are worried that their livestock will be killed, that they will step on the landmines, or that their rice barns will be burnt by the Tatmadaw. On April 19th 2018, a KHRG researcher provided updated information that the displaced villagers were uncomfortable in their makeshift shelters because of the difficult weather conditions. Many of the IDP shelters are only covered with plastic or tree branches, materials that are not solid enough to keep the rain from coming in. 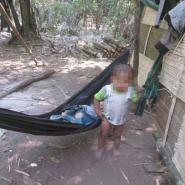 In response to this, Free Burma Ranger (FBR) and the Committee for Internally Displaced Karen People (CIDKP) provided emergency support by distributing tarpaulins. These materials are only moved halfway to the IDP site in Gg--- village. When our KHRG researcher visited the IDP site in late March 2018, 10 baskets of medicine were brought to IDP site by KNLA medical team supported by unidentified donors. 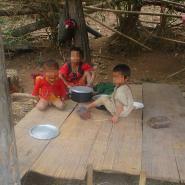 Additionally, some resettled Karen people in third countries sent financial support to recent IDPs in Lu Thaw Township. Although it reached the Hpapun District authorities, they have not yet distributed it to IDPs as they are waiting to evaluate the situation, and are deciding whether to buy food for the displaced villagers instead of a cash distribution. 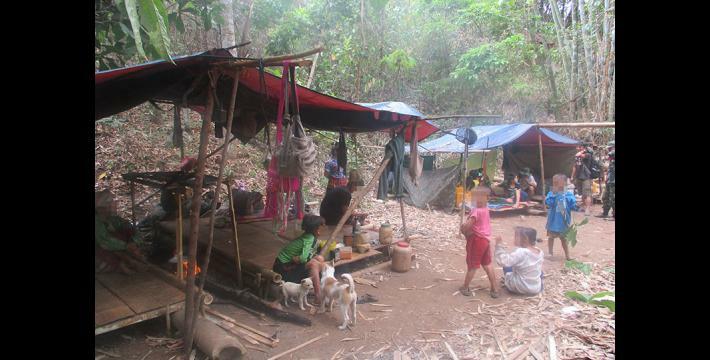 The displaced villagers have not been able to go back to their homes since March 2018, as the fighting is still ongoing and they did not feel secure enough to return. 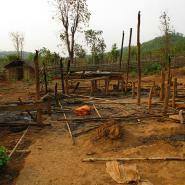 The ongoing fighting in Hpapun and Toungoo districts is a barrier to the peace process in Southeastern Myanmar. The peace process is put at risk when the Tatmadaw repeatedly violates the NCA code of conduct with large-scale troop movements and pressure for the control of territories. These are the main factors that caused the displacement of 2,295 of villagers. Furthermore, this political situation is also preventing young people from accessing education since they had to leave their schools to flee to their homes and villages. Tatmadaw did not only break the NCA code of conduct but they also committed human rights abuses by attacking and killing innocent villagers, ordering villagers to be navigators and forcing a village head to be their messenger in early 2018. In this case, Joint Monitory Committee (JMC) and Burma/Myanmar government should closely monitor Tatmadaw to ensure that they follow the NCA code of conduct and take legal action against armed groups violating the NCA code of conduct in order to maintain peace, protect civilians and promote human rights. This News Bulletin was written by KHRG office staff and is based on information from a community member from Hpapun and Toungoo District who has been trained by KHRG to monitor local human rights conditions. It summarises information from two short updates, two incident reports, two situation updates and one interview received by KHRG in March 2018. In order to increase the transparency of KHRG methodology and more directly communicate the experiences and perspectives of villagers in southeast Burma/Myanmar, KHRG aims to make all field information received available on the KHRG website once it has been processed and translated, subject only to security considerations. For additional reports categorised by Type, Issue, Location and Year, please see the Related Readings component following each report on KHRG’s website. On October 15th 2015, after a negotiation process marred with controversy over the notable non-inclusion ofseveral ethnic armed groups and on-going conflicts in ethnic regions, a Nationwide Ceasefire Agreement (NCA) was signed between the Burma/Myanmar government and eight of the fifteen ethnic armed groups originally invited to the negotiation table, including the KNU, see “Myanmar signs ceasefire with eight armed groups,” Reuters, October 15th 2015. The signing of the NCA followed the January 12th 2012 preliminary ceasefire agreement between the KNU and Burma/Myanmar government in Hpa-an. Karen civilians and the KNU have more recently expressed their concerns about the lack of progress in moving from a ceasefire towards genuine political dialogue. See, KNU Chair Highlights Weaknesses In The NCA During Anniversary Celebrations, Karen News, October 2017 and NCA signatories urge govt to reboot peace process, DVB, October 2017. In February 2018, two additional armed ethnic groups signed the NCA under pressure from the Burma/Myanmar government. This information was taken from unpublished reported. . This information was taken from unpublished report. The information was taken from an unpublished report. This information was taken from an unpublished Incident Report. For detail information about NCA code of conduct see “THE NATIONWIOE CEASEFIRE AGREEMENT BETWEEN THE GOVERNMENT OF THE REPUBLIC OF THE UNION OF MYANMAR AND THE ETHNIC ARMED ORGANIZATIONS” Myanmar Peace Monitor Organisation, 2015. This information was taken from “IDPs in Lu Thaw Township, Hpapun District urge Tatmadaw to withdraw army camps (May 2017)” KHRG, September 2017.